I love to explore smoothies that have varied tastes, flavors, ingredients and most of all nutrition. 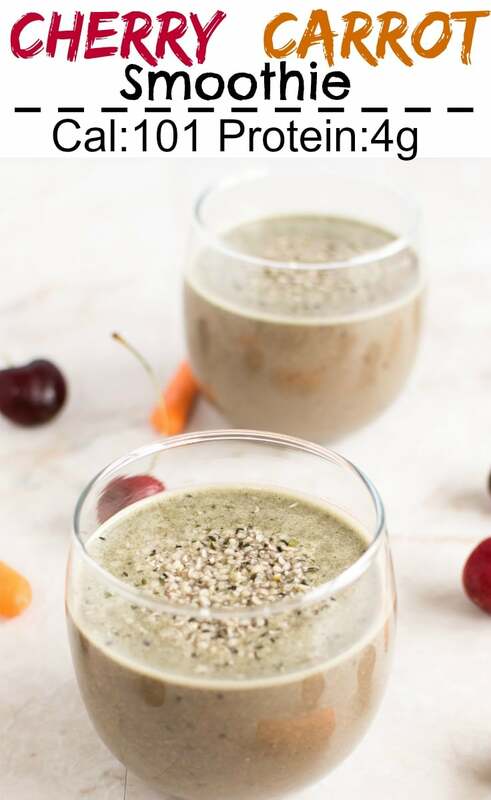 Though the idea of smoothie is to blend the ingredients and serve as a convenient snack, but if chosen diligently the ingredients can actually enhance the taste and nutrition of the smoothie and not to forget the timing. Smoothie serves its best purpose when blended fresh and consumed immediately. Since cherries are flooded in the stores right now and they are Yashvi’s favorite fruit I picked a bag of fresh dark red cherries. Though it’s difficult for us to stop popping them in our mouths yet I managed to keep some aside for my awesome smoothie experiment. I chose carrots because I personally like to bled fruits and veggies together for a wholesome beverage. 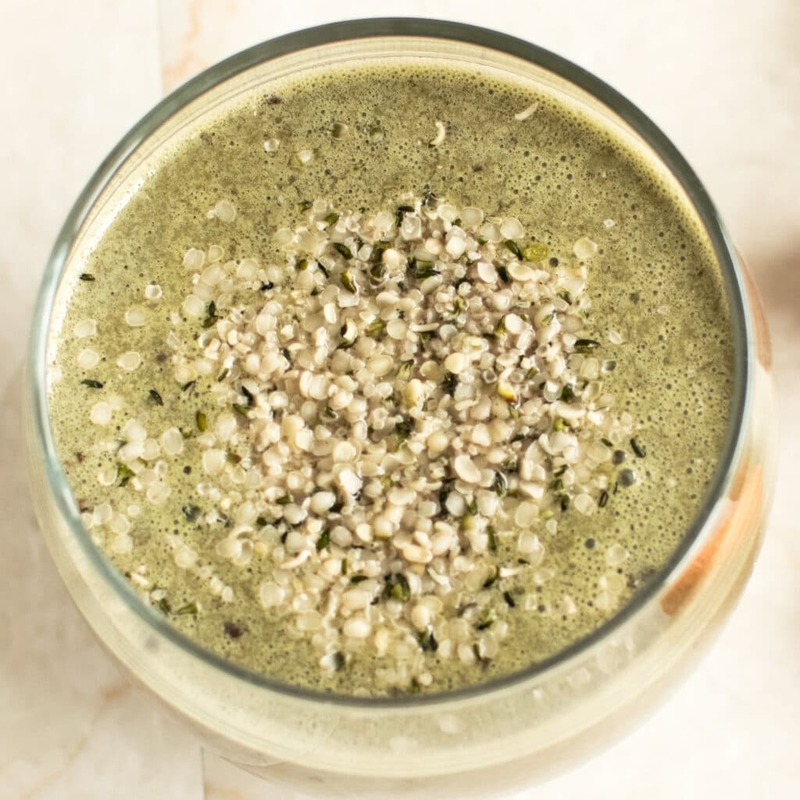 With hemp seeds known as one of the best super foods I added some protein to this smoothie and of course to add calcium and omega 3 I blended the smoothie with almond milk. MMMMM! So hydrating and so filling couldn’t stop sipping this Cherry Carrot Smoothie all day! 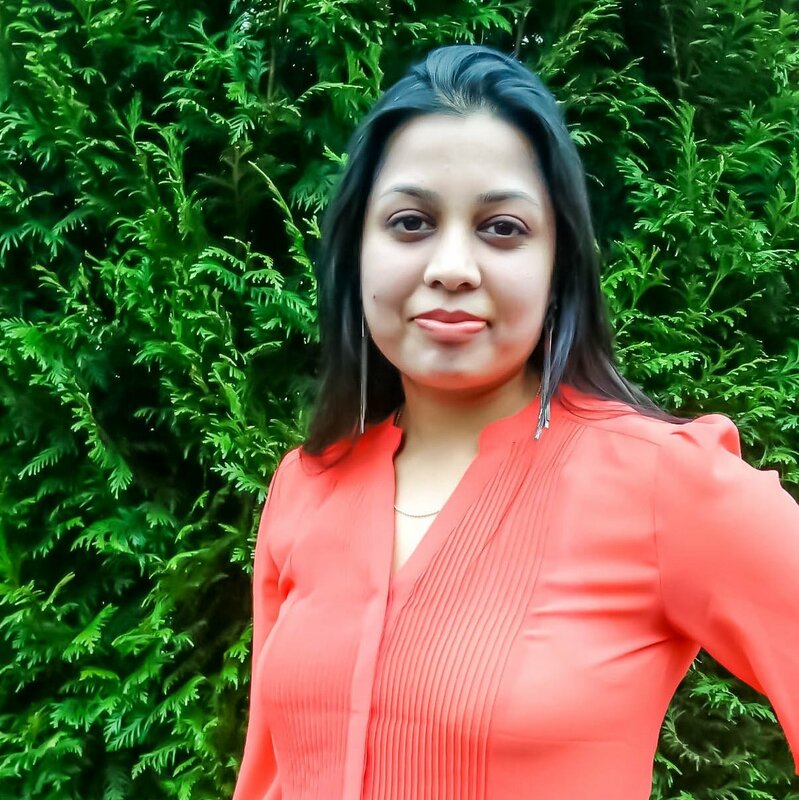 I felt energetic, rejuvenated and so full of joy. With just 4 ingredients, fresh organic smoothie was ready within minutes and without too much effort and of course budget friendly too. 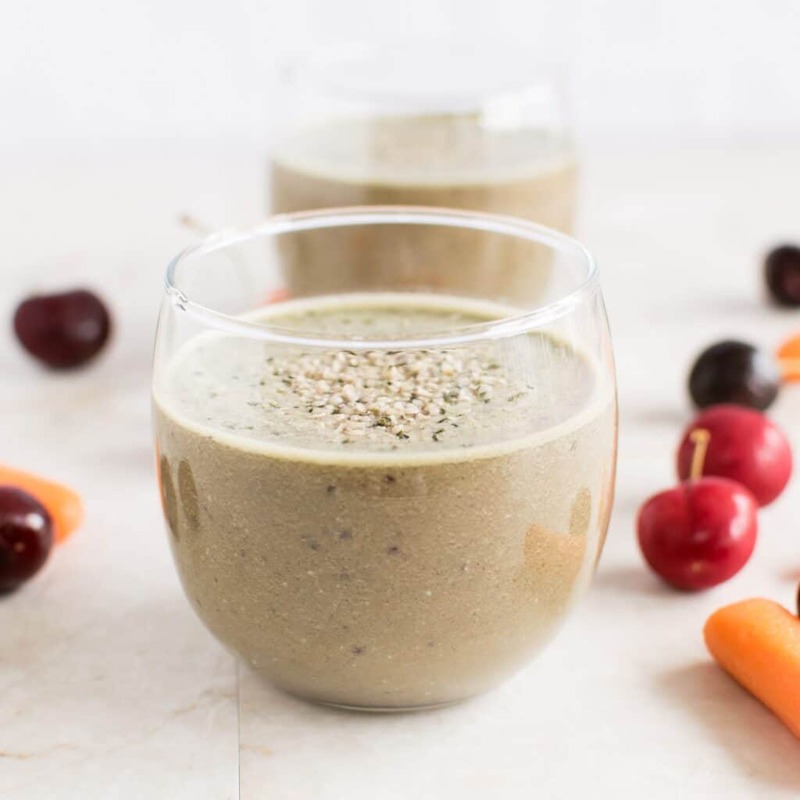 This Cherry Carrot Smoothie is made with just 4 ingredients, fresh organic smoothie was ready within minutes and without too much effort and of course budget friendly too. Measure cherries before removing the seeds. If you do not have vanilla almond milk, you can use regular unsweetened almond milk and add couple of drops of vanilla extract into the smoothie while blending. I don’t think I’ve ever tried cherry and carrot together. Must give this a try. 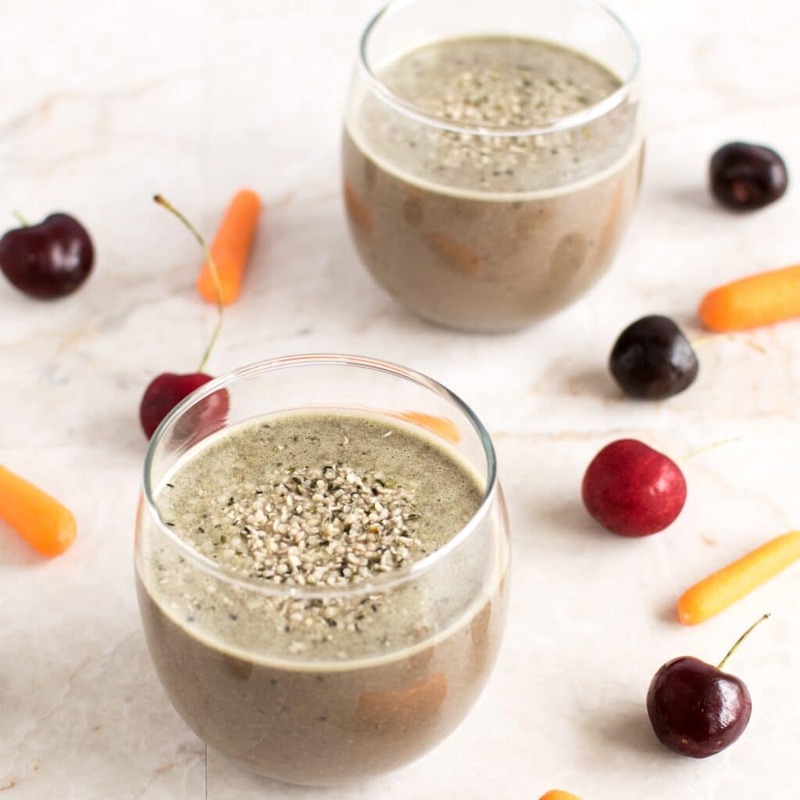 Oh goodness, this cherry carrot smoothie looks wonderful! I love trying new, delicious recipes, and this one looks like something I’d love! Thank you so much for sharing!! I love trying new smoothies, too, and this sounds great! I just love the carrots! I love a good smoothie recipe, this looks so delicious!